After months of speculation, Activision has officially announced what the map will look like in the Call of Duty battle royale mode, Blackout. As developers said at its initial reveal, the Blackout map features parts of past maps in the Black Ops franchise. 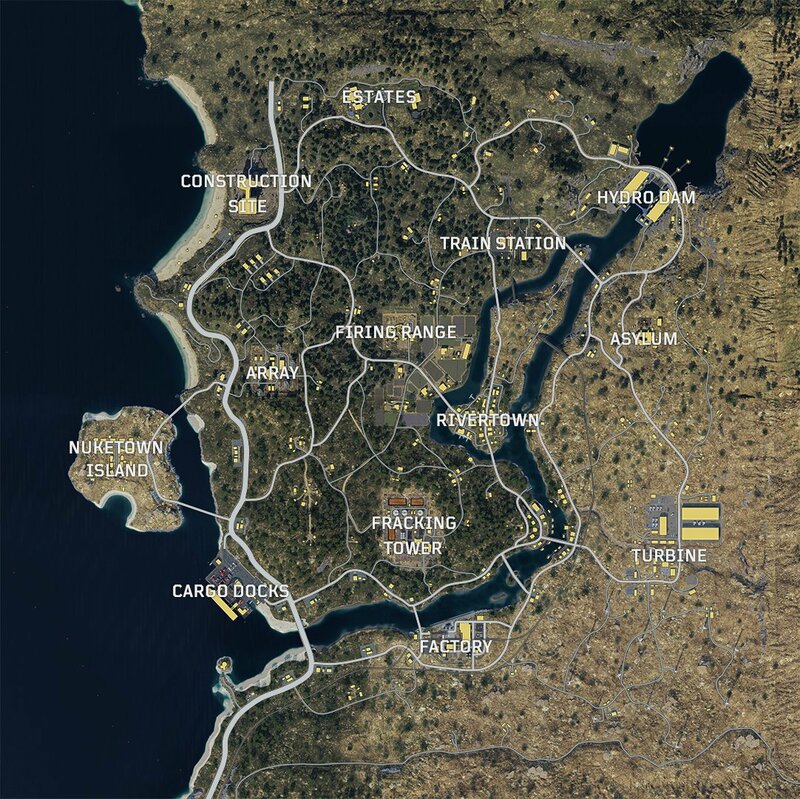 Nuketown Island, Cargo Docks, Firing Range, and Turbine are just a few of the named locations on the map, which is the largest map in CoD history, according to Activision. Treyarch had been leaking images on pieces of the map to content creators over the past day. With all of the different pieces, fans attempted to put them together to complete the map puzzle. Before the map news, Treyarch unloaded a lot of information about how Blackout will work. In a feature with GameInformer, Treyarch revealed there would be three tiers of health and armor, eight primary ammo types, a dozen of equipment items, and even more weapons, perks, and attachments. The vehicles and characters in Blackout were also announced. The player count for the Blackout beta was also announced, with 80 player being able to compete against each other in the beta. While this number may change before the Oct. 12 release date, players will at least get to try it out during the beta, which begins on Sept. 10.